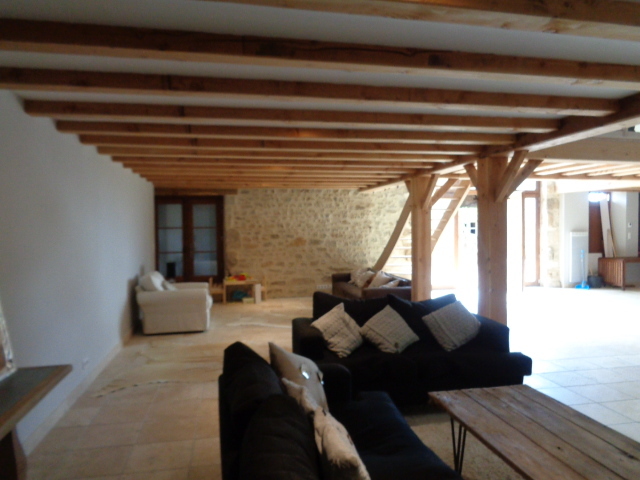 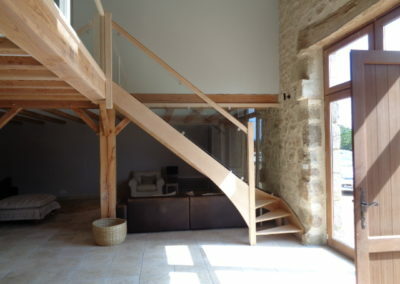 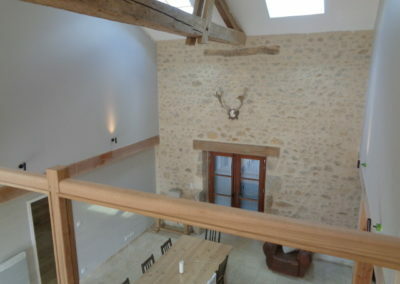 A barn conversion of a stone barn just north of Nontron sitting with the national park in the commune of Etuoars. 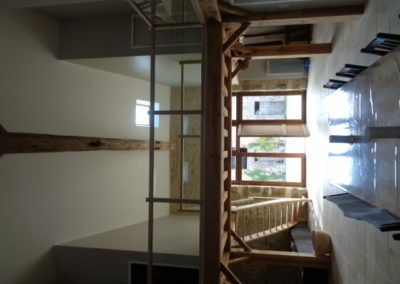 This project was for a conversion of a stone, building dating backing to the 18th Century to create a spacious holiday home, with an open plan living/dining/kitchen at ground floor with four bedrooms and bathrooms within the roof space at first floor connected by a fantastic passerelle over a double height Atrium. 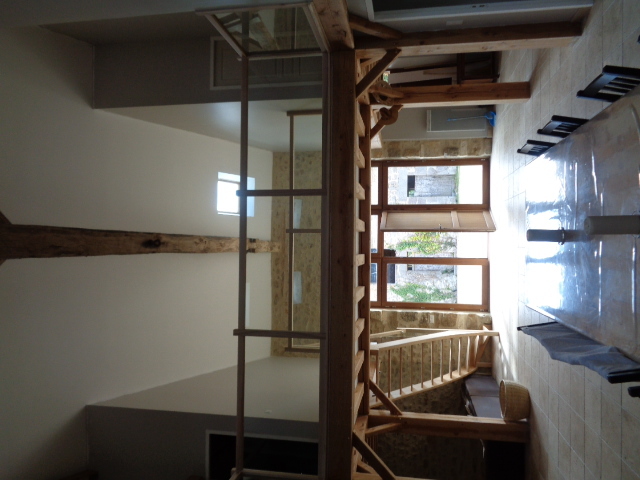 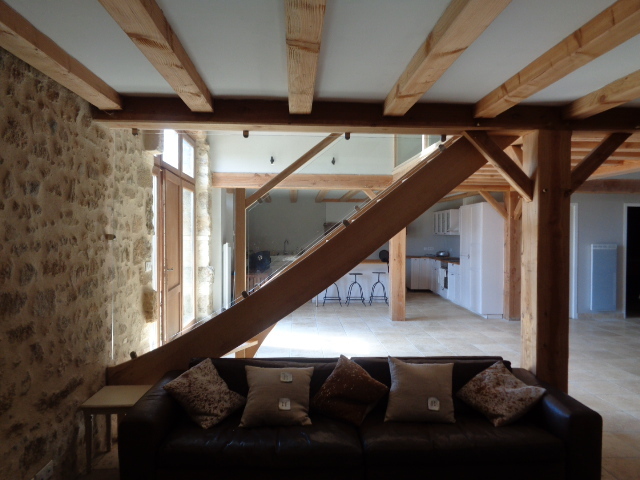 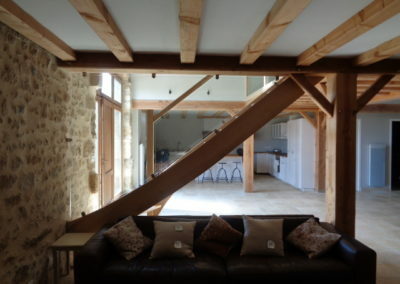 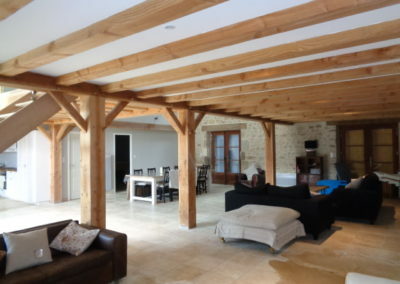 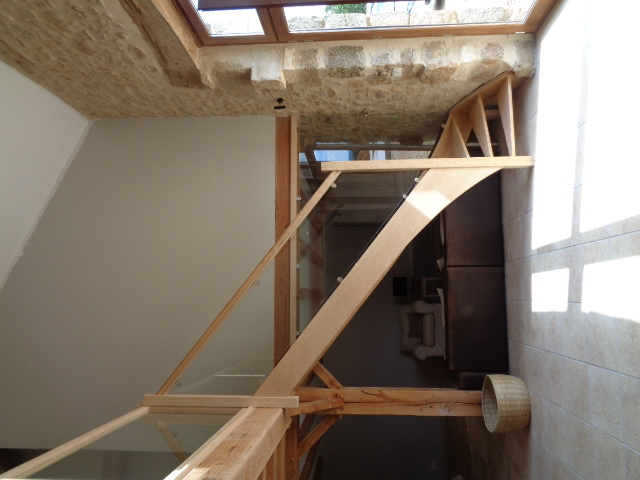 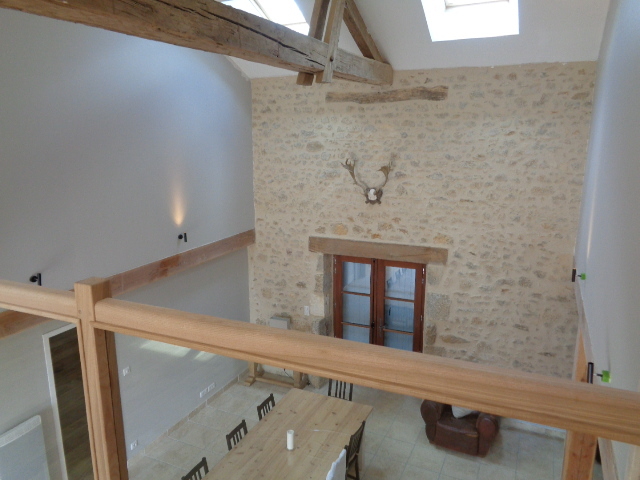 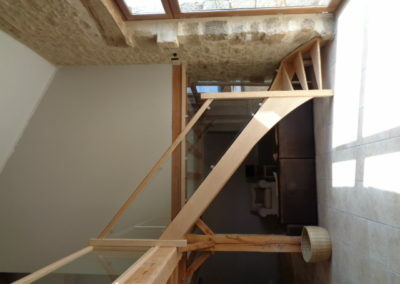 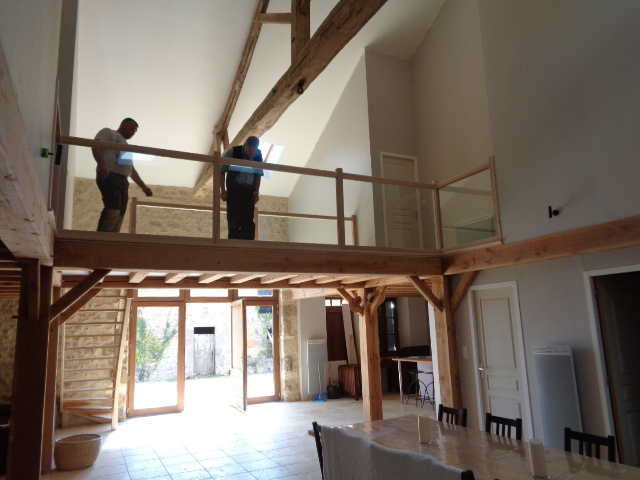 A new oak timber frame was constructed within the stone barn forming the new first floors being sited with the old external envelope, we chose a pallet of materials that sought harmony, oak, brick, stone and travertine being employed with great success. Externally, a new terrace was created in flagstones and bound gravel with a gravel courtyard surrounding the house and garden. 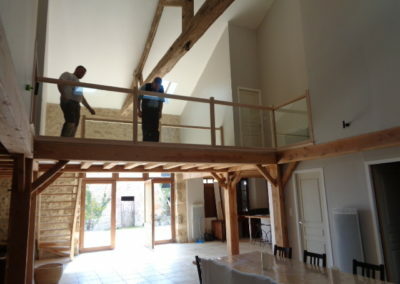 We were involved in the design from conception to completion including obtaining all the necessary planning consents, producing the detailed the detailed design and the selection of contractors and supervision of the works on site. 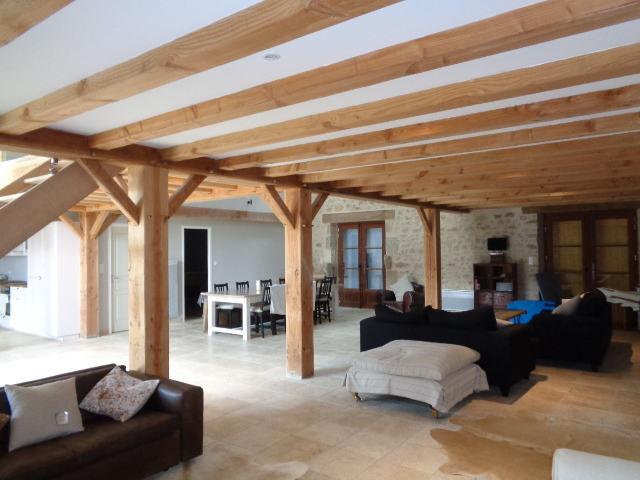 A project of exceptional quality by a fantastic team.